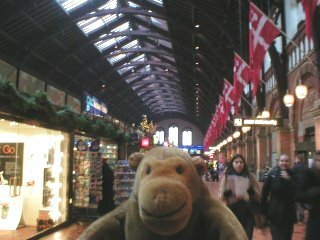 "Look at all the flags and wooden beams and everything!" 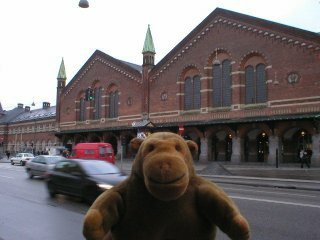 In the morning, Mr Monkey visited the main station, but only because his humans wanted to have breakfast. It's a very good building.